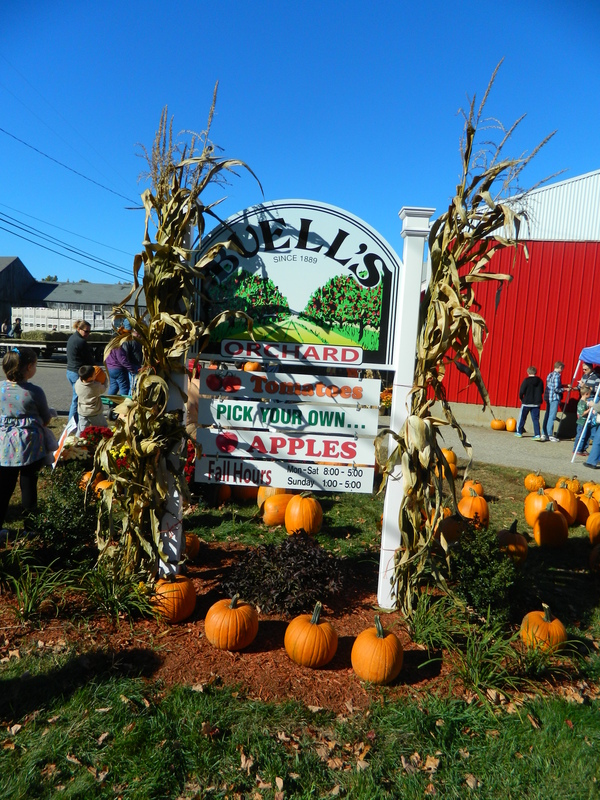 Buell’s Orchard in Eastford, Connecticut is a treat! Tucked in the countryside of the northeastern part of the state, Connecticut’s “Quiet Corner”, Buell’s can be a bit tricky to find – it’s easy to drive past the small sign indicating the turn to reach the orchard. 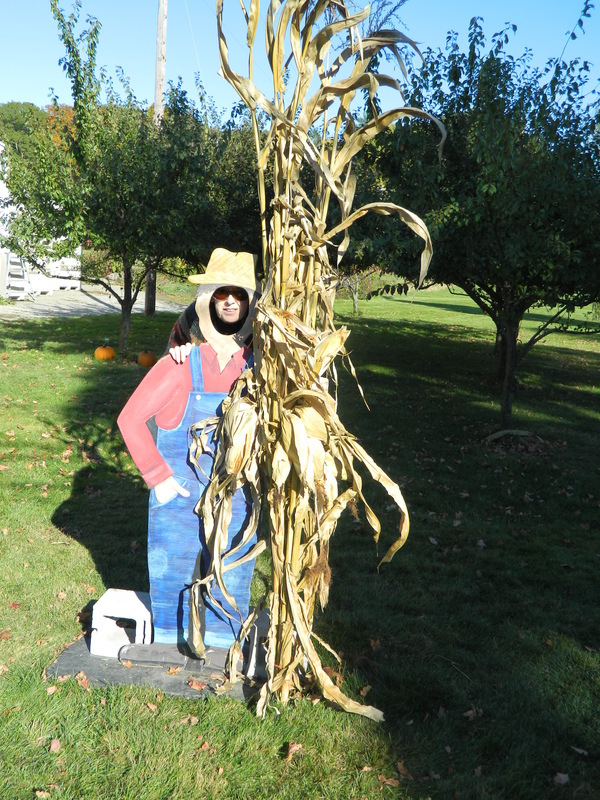 Upon arrival – on the day of my visit last October – it seemed like a New England fantasy oasis come to life amidst deep red, orange and yellow leaves. Alluring rich hues that enveloped the orchard turned due to the cold nights accompanied by warm days characteristic of the autumn season. In mere weeks, Buell’s is primed to look that way again as the regional late summer transition is underway with some tree tops already turning. Strawberry season is done here, according to their website. Blueberries, however, will be available for another two weeks. Peaches are ready now and are expected to last through to early September. 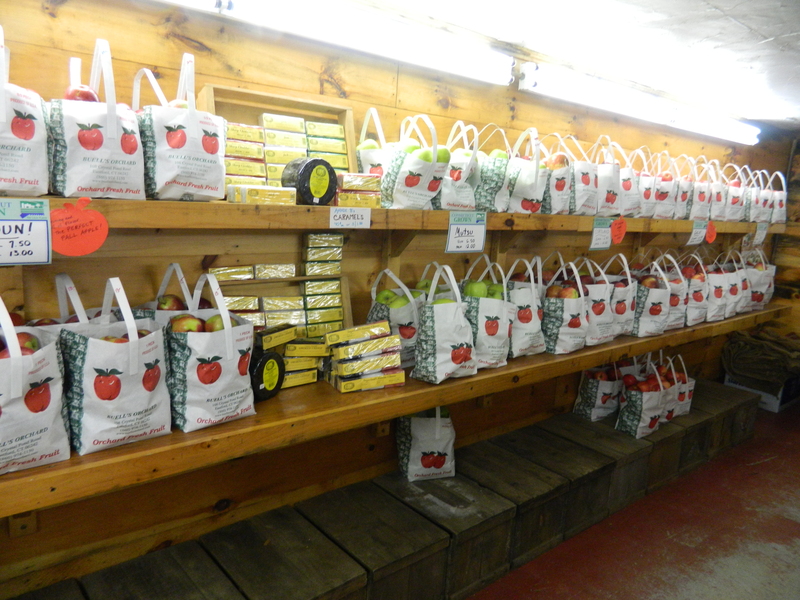 Apples, apples, apples will be ready for picking Labor Day weekend, fewer than fourteen days away. 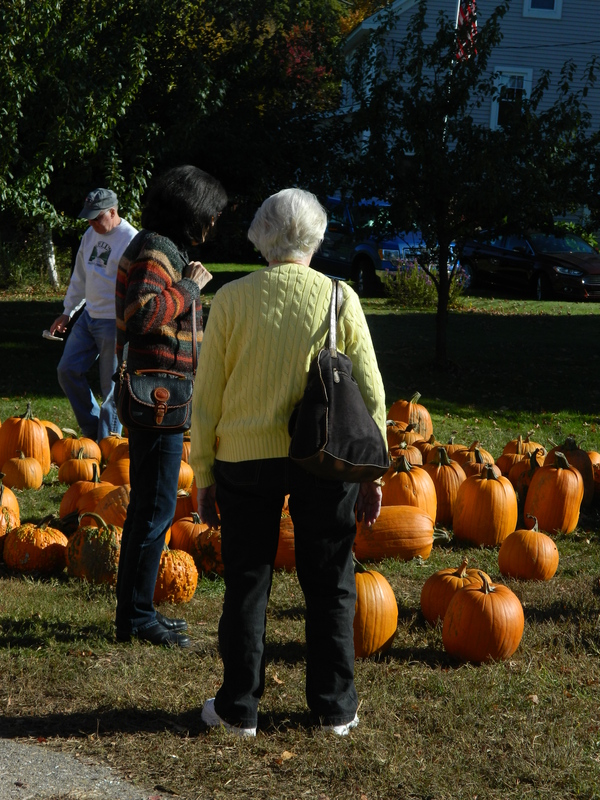 Pumpkin picking begins in late September. (Buell’s will be closed the first Sunday in September). Both apple and pumpkin season goes through to Halloween in October. On the day I was there, Buell’s was very busy. 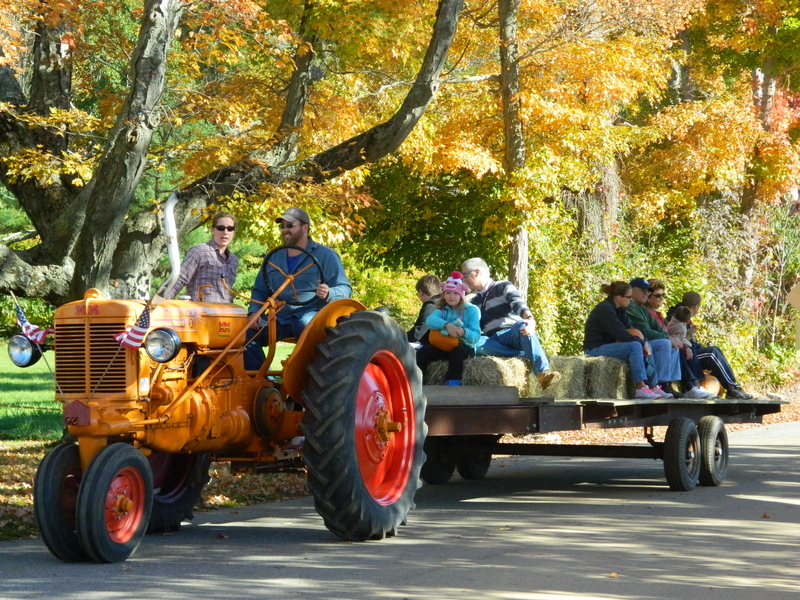 A popular destination not only for Connecticut-ites but also attracting folks from Massachusetts and Rhode Island, it is a perfect daycation stop with a chance to ‘pick-your-own’. Strolling the outdoor market under a large canopy. Just a step over a threshold from each other, they had indoor and outdoor farmer’s markets. The latter was covered by a large canopy. 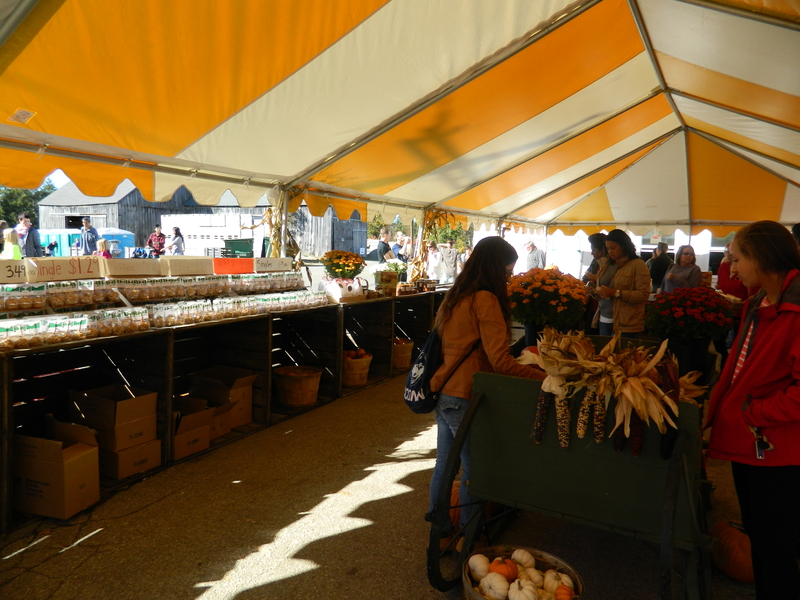 Look for baskets of all colors and sizes of gourds accenting the corners of both market areas. Solid white gourds caught my eye and a few came home with me, making for lovely seasonal decor. 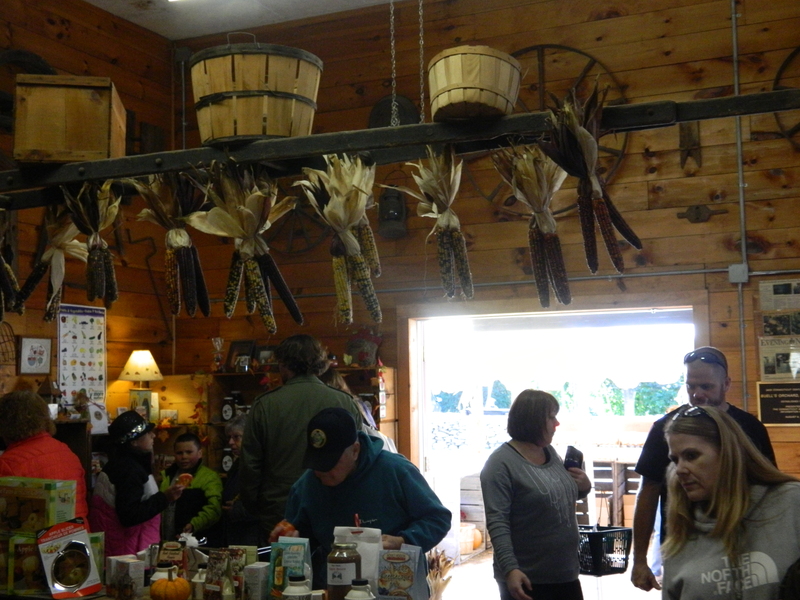 Bunches of Indian corn, also known as Flint corn, hung from the interior beams. 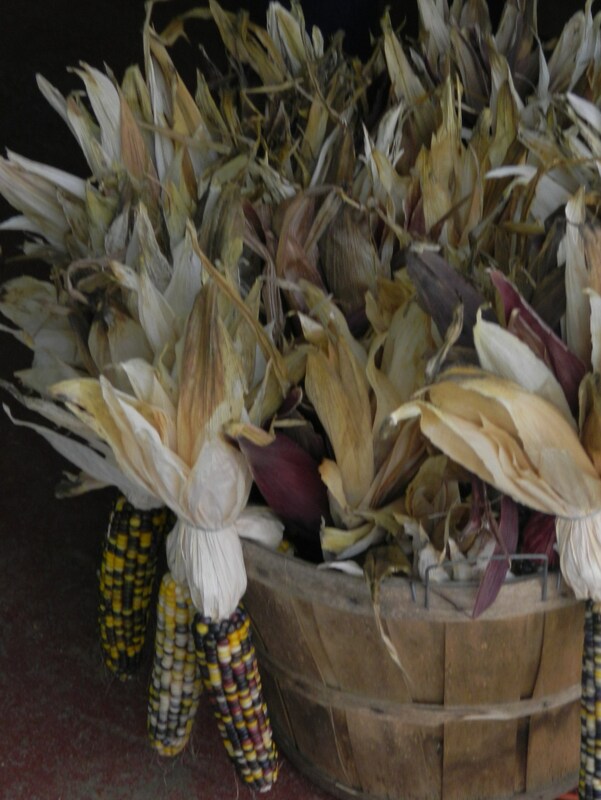 Indian corn, also known as Flint corn, is grown with variegated kernals. 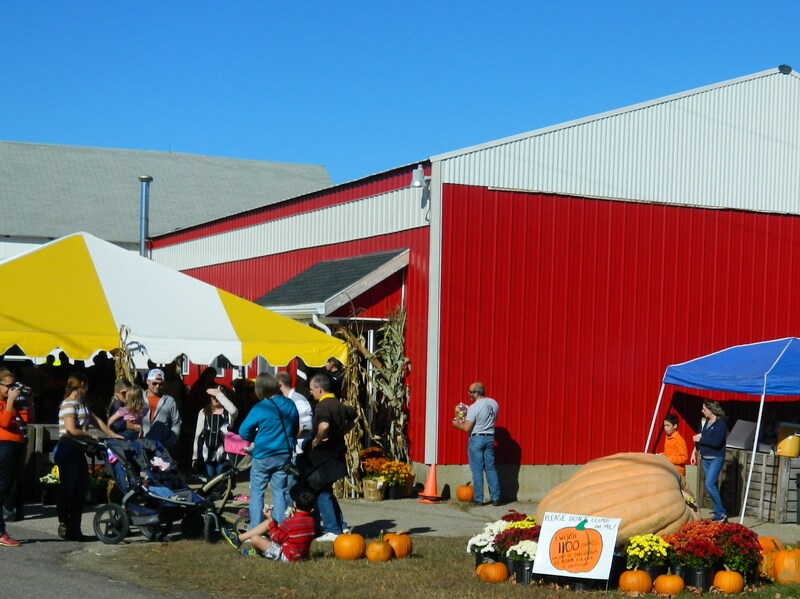 Buell’s will host its 35th Annual Harvest Festival on the Saturday and Monday of Columbus Day weekend; Saturday October 10 hours are 10 a.m. – 4 p.m. and Monday October 12 hours are 10 a.m. – 4 p.m.. Live music will be featured by the Dave Reiner & the Reiner Family Band, along with apple and pumpkin picking, hayrides “to the apple picking and pumpkin patch”, as well as chicken barbeque, hotdogs and hamburgers. A “brand new” cider and mill pasteurizing and bottling plant installed at Buell’s will be open for viewing. 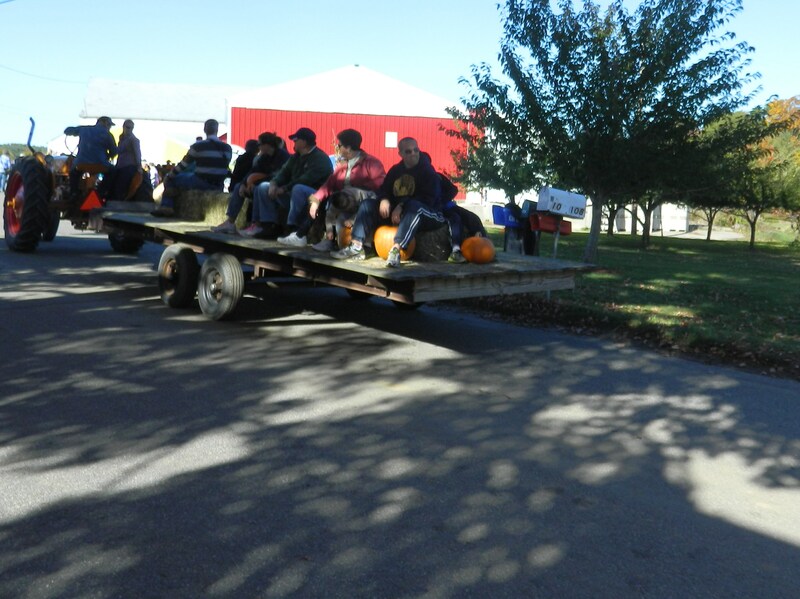 Fresh cider & donut samples will be available for as long as the supply last. Better hurry!